Can I use the Apprenticeship Levy to train existing staff? This is one of the most common question employers are asking about the Apprenticeship Levy - and for good reason. The UK Government introduced the Apprenticeship Levy to help try to create 3 million apprenticeships in England by 2020. The ambitious plan aims to help lift employment rates, close the skills-gap and boost the country's economy. But many employers feel reluctant to take on new apprentices and want to utilise their Levy funds to train existing members of staff instead, to help them progress within their organisation. Is this technically okay? In simple terms: yes, if you do it in the right way. But what is the right way? And perhaps the more important question is, how do I use the Apprenticeship Levy to train existing staff? What is the Apprenticeship Levy designed for? 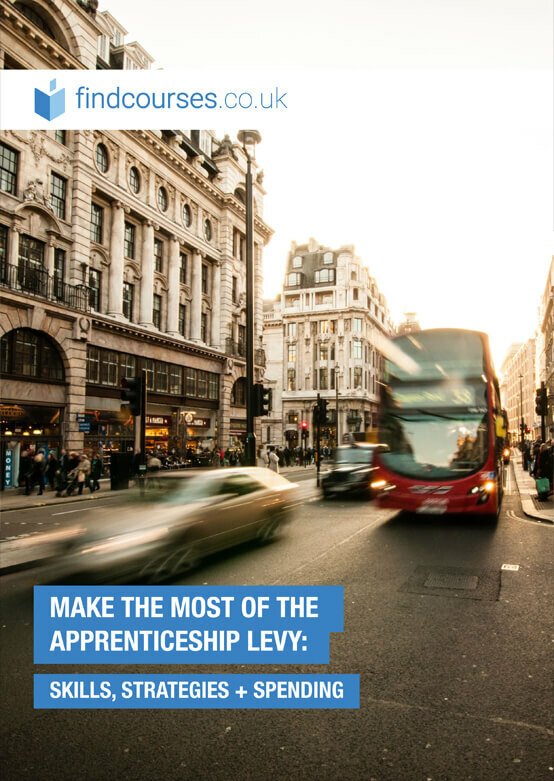 The Levy system has been implemented specifically to encourage new apprenticeships and help train highly skilled professionals in line with apprenticeship standards. These standards have been developed by employer groups and will help to ensure all apprentices will have the knowledge, skills and behaviours needed to succeed in their specific role. Most apprenticeships last a minimum of twelve months in order to achieve the right level of expertise. Apprentices will work within an organisation and also spend 20% of their time 'off-the-job'; i.e. not working directly on their daily role. They will need to complete an assessment at the end of the apprenticeship and are likely to gain a qualification. Why would an existing member of staff want to do an apprenticeship? The perception of apprenticeships is changing - and if you want to make the Levy work in your organisation, you need to educate your staff on this. Traditional preconceptions that apprentices can only be entry-level school leavers or labour-intensive workers are evolving. With the employer-led redesign of apprenticeship standards, apprenticeships are more highly valued training and education routes, which emphasise quality, knowledge and practical skills. Apprenticeships are assessed against levels, as with all qualifications in the UK, ranging from 1 to 8. The higher the level, the higher the level of demand required to complete it. 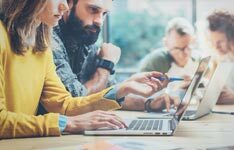 This means an existing member of staff could take a Master's degree in a specialist subject, which would, doubtlessly contribute towards their growth within the company. Many employers are investing in apprenticeships for new managers, to help them get the right skills in line with industry standards. In essence, the term 'apprenticeship' is just a word; it is really a highly intensive training and qualification opportunity - one which many members of staff may be interested in if they understood it fully. Can I send my team on a one-day course using the Apprenticeship Levy? In short: no. The system is designed to intensively educate and train individuals within their specific roles. Apprentices must follow the guidelines for apprenticeship standards, which includes end-point assessment. Short courses do not qualify under the scheme. 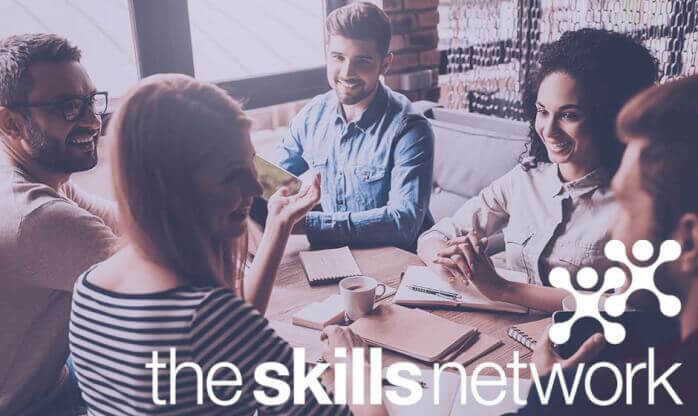 However, employers looking to make use of the funds may wish to consider investing in a smaller number of apprenticeships for existing staff in different/specialist areas, who can then disseminate their new knowledge throughout their teams. Why would I want my existing staff to spend 20% of their time away from work? Apprentices will need to spend 20% of their time ‘off-the-job’. This is by the far the most concerning problem for employers. Most businesses can see this being applicable to new starts, but not to current employees. Understand that apprentices don’t necessarily have to be physically away from your organisation for 20% of the time. They just need to be doing something that isn’t part of their usual role. Utilise this time to get them helping with different projects, learning from others, and studying for the qualification aspect of the apprenticeship. The key thing to remember is that apprentices will be still be working and earning while they learn. Help educate your workforce and support them through this new approach to taking on new roles: implement a learning culture that supports and embraces apprenticeships - and demonstrate the value and successes through pilot programmes. It is also worth considering that the government may be reviewing the 20% off-the-job rule in 2018 to potentially offer more flexibility for employers around this aspect of the system. Do I need to change the employee's job title or contract if they take an apprenticeship? “When using the apprenticeship levy to upskill existing members of staff, it is not a requirement to change the employee's job title or contract of employment. However, the employer would have to ensure that there is an Apprenticeship Agreement that has been signed by both the Employer and the Apprentice. They would also have to ensure that a Commitment Statement has been signed by the Employer, Apprentice and the Training Provider. Find information for the Commitment Statement, as well as a template for the Apprenticeship Agreement. When is the deadline to spend the Apprenticeship Levy? Funds that aren't spent 24 months after they enter your account will expire. That means that if you received your funds in September 2017, you have until September 2019 to spend them. As of July 2018, big businesses can now transfer up to 10% of their levy to as many other employers as they choose. This flexibility was designed to encourage apprenticeship starts in small business as well as for companies that pay the Apprenticeship Levy. Find all the steps you need to take on an apprentice!